Commercial decorating and refurbishment services are just as important to us as our domestic work. Working with schools, offic es and retail sites across Kent, London and the South East, we provide everything from simple painting and decorating services to comprehensive refurbishment projects, plumbing and electrical installations. In business and the commercial sector, first impressions and appearances are everything. Get it right and your potential customer should turn into a new one; get it wrong and they may very well look elsewhere. At Daniel Barrett Decorating Services, we produce stunning finishes that are proven to impress customers and employees alike. Our 18 year industry experience enables us to work to incredibly tight deadlines and our experienced team of painters, decorators, plasterers, carpenters, plumbers, builders and electricians are used to working together to complete projects. Being able to utilise one team, rather than rely on outside contractors, saves time, money and the risk of poor quality standards. 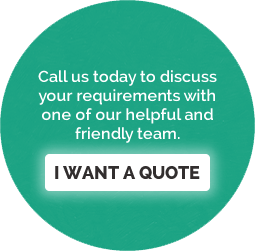 For your peace of mind, all our team are highly skilled and fully qualified in their areas of expertise. As a company, we also have full Public and Employee Liability Insurance and have a strict health and safety policy that our team always adhere to.